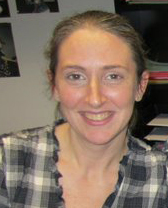 Meridith Sommers (Editor) is originally from New York, she received her B.A. from American University in Washington DC with a double major in Music, and Law & Society. Since moving to Los Angeles, she has been in the post production departments of numerous television shows including: Beautiful People, Heartland, Six Degrees, Numb3rs, In Plain Sight and Hellcats. She has also worked on films including The Memory Keeper's Daughter and Personal Effects. Her most recent editing assignment is on Model Minority for director Lily Mariye.